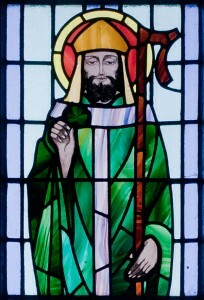 St. Patrick (photo by Andreas F. Borchert, via Wikipedia, used under Creative Common license). One of the years I lived in Boston, we all went to Matt Murphy’s, a pub in Brookline, for St. Patrick’s Day. At the time, in the mid 1990s, this traditional Irish pub was consistently ranked as one of the best places for celebrating St. Patrick’s Day. We got there early, dined on stew and shepherd’s pie, and drank Guinness until quite late. We celebrated an “Irish” holiday in a very Irish city and had a great time. For most of our other Saint Patrick’s Day celebrations, we went to a dive bar called Fathers Too (which later changed it’s name to PJ Kilroys). It was near Boston University, where we worked, and we went there most nights. As graduate students, we drank whatever the cheapest pitcher special was — usually Budweiser — and ate at Taco Bell, or some other fast food restaurant, before heading over there. The pub was decked out with strings of green plastic shamrocks, and the table cards that hawked Bud all had an “Irish” theme (probably a red-headed girl in a green bikini). So, we all knew it was St. Patrick’s day, but we didn’t care . . . and we had a great time. So, I think you can see where this is going. Enjoy your St. Patrick’s Day with friends or family and you’ll likely have a good time. You can get caught up in all the hoopla, if you want, but you can also avoid it and have a perfectly nice St. Patrick’s Day. The older I get, the less excited I am about St. Patrick’s Day, Cinco de Mayo, and New Year’s Eve. Every year, someone writes an article about how beer companies and bars take the worst stereotypes of Irish behavior and turn it in to a holiday focused on getting drunk. I’ll let someone else make that argument, but I will say this – I rarely have fun on these holidays anymore. If you go out to a bar, or reasonably well-attended party, it’s usually packed with amateur drinkers. After watching them loudly and cluelessly getting drunk all evening, you need to get back on the road and you know these people are out there driving, too. So, I’ll probably stay home tonight. I’m not saying this to be needlessly contrarian, or trying to convince anyone else to do the same. It’s just likely that I won’t have any fun, so I’ll plan to go out some other night with friends soon — when I can hold a conversation with them and not worry about getting hit by a drunk driver in the way home. Of course, if someone tries to plunder the culture of my ancestors and turn it into a drinking holiday, I’ll probably be excited. I can imagine a holiday revolving around eating fish preserved in lye and — with a nod towards Norse stoicism — wearing T-shirts that say, “Nod Sternly At Me, I’m Norwegian.” But I don’t think that is going to happen anytime soon. 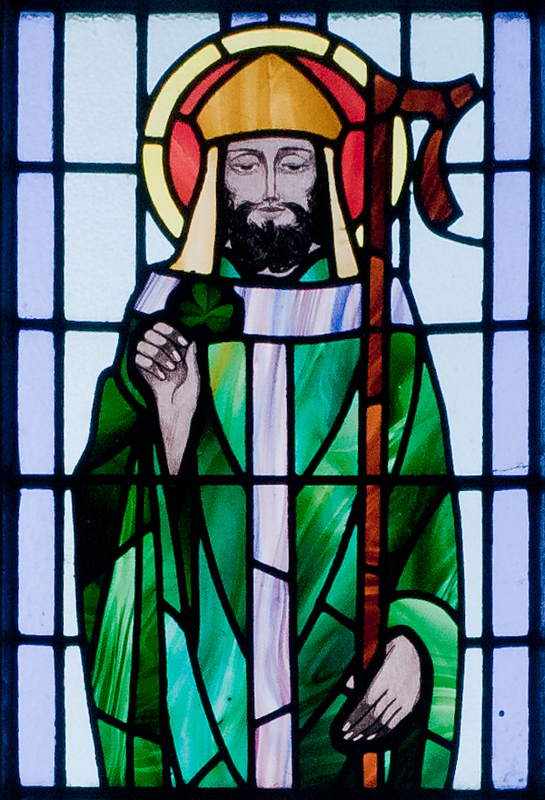 So, no matter what you do on St. Patrick ’s Day — stay safe, help friends who may need some convincing not to drive home, and have fun.